ITS A BIG THING!!!!!!!!!!!!!!!!!! 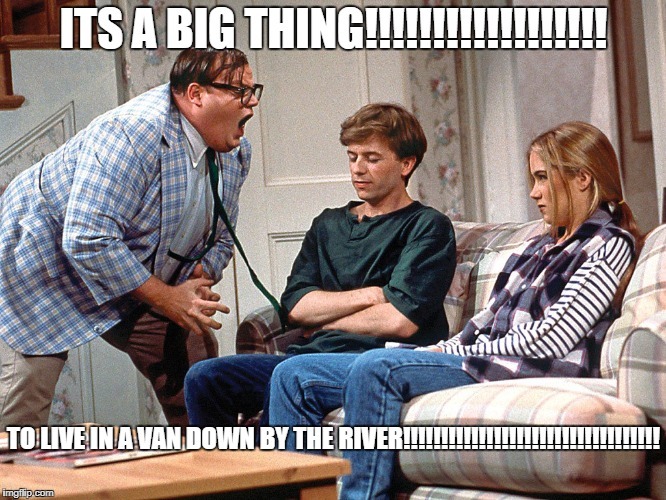 TO LIVE IN A VAN DOWN BY THE RIVER!!!!!!!!!!!!!!!!!!!!!!!!!!!!!!!!! !